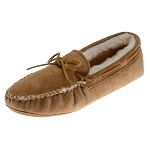 Minnetonka 0816 - Soft, supple, natural deerskin in the traditional moccasin style, the ultimate in luxurious comfort. 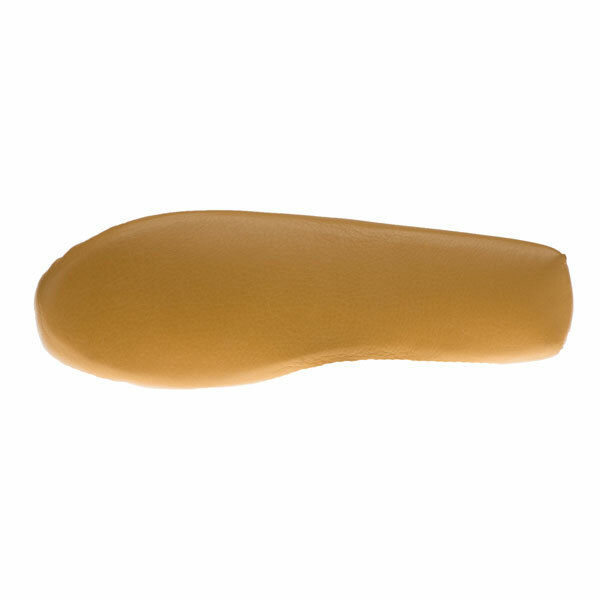 Fully padded cushion insole. Wraparound laces that tie with a bow for a custom fit. Double softsole for durability. 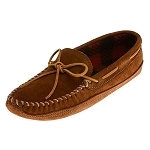 I bought these moccasins to replace an identical pair that finally wore out after 10 years. 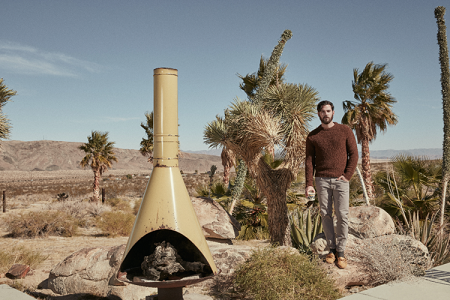 They are comfortable and durable and I wear them every day. This is my first pair of soft leather sole moccasins, extremely comfortable (with or w/o socks). 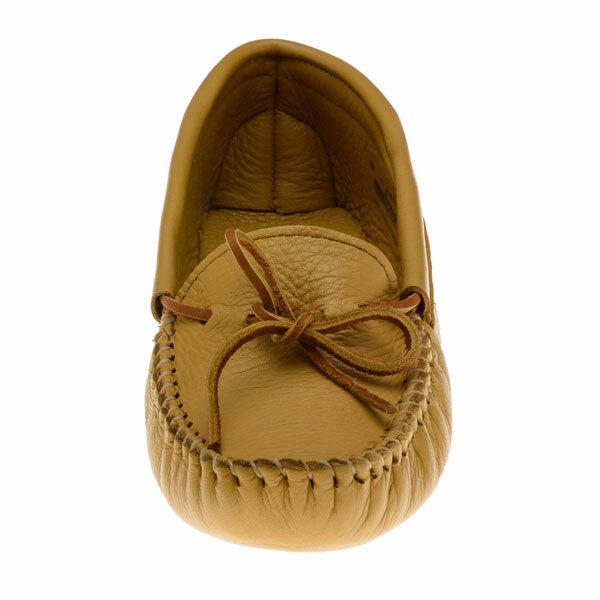 I was looking at getting a pair of handmade moccasins and ended up ordering these Minnetonka Deerskin Double Softsole Moccasins. The fit is perfect and they are the most comfortable moccasins that I've owned over the last 50 years. 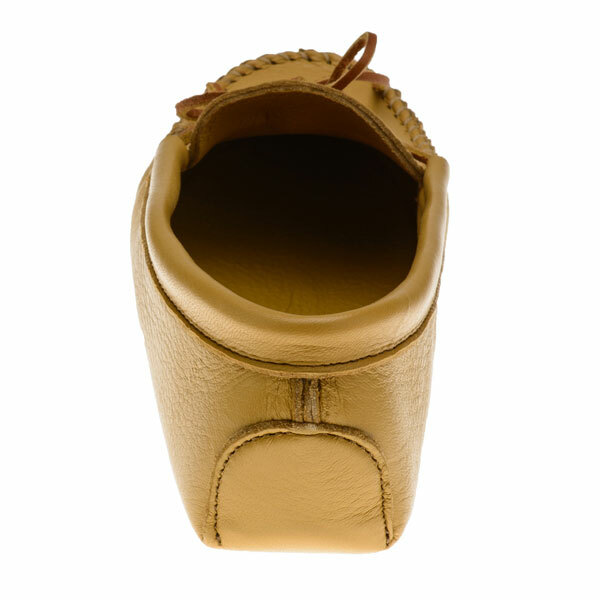 The smooth top-grain leather on both the inside and the outside of these moccasins really makes a huge difference when it comes to comfort. 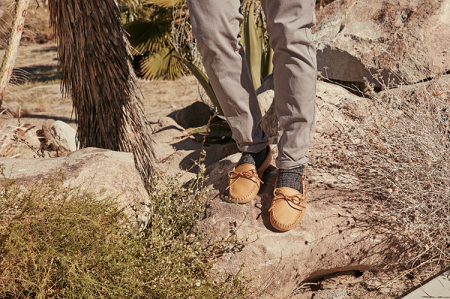 You couldn't ask for a more comfortable moccasin. I have used these amazing shoes for the last 20 years since I first found them on a vacation to Malibu. Simply the best! I purchased this item as a gift for someone else. I have to first speak to the service of this company. There was a problem with the address which they identified immediately and contacted me by email. I was unaware of the error I had made when I placed my online error so I have to admit I was a bit suspicious of the email. I contacted the company by phone and spoke to a representative who had my order and stated he was aware of the problem. We were able to correct it. He said my order would ship immediately. I then received another email saying my order had shipped as promised by the service representative. The slippers were delivered in time for Christmas. The person that I purchased the slippers for is thrilled with them. The size was perfect and they fit exactly as promised. He says they are the best slippers he has ever owned. 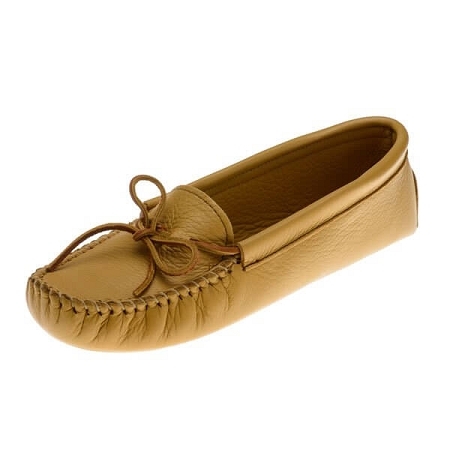 My husband has 2 pairs of these moccasins, the older pair at our cabin and the newer pair at our home. I hope Minnetonka never eliminates these from their inventory. Great product and excellent company and service.